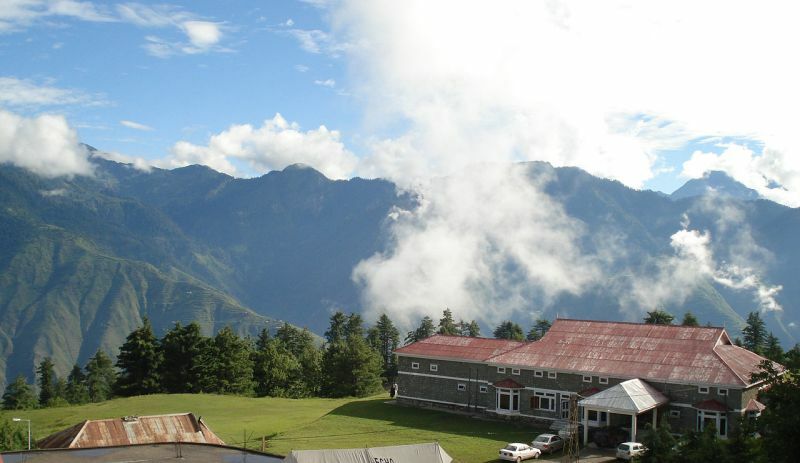 Shogran is located at a distance of 34 kilometres (21 mi) away from Balakot. The road from Islamabad to Kiwai is metalled and measures 212 kilometres (132 mi). Hotels and motels are available at affordable costs. Mobile phone services is also available there by Telenor and Mobilink. The local people are friendly and peaceful. It is accessible in the summer. It attracts families and explorers alike. You should not miss a trip to Forest Rest House. Most of the people sit and relax in its huge lush green lawns. Entry might be restricted when senior officials visit or stay at rest houses. Views of Sri Paya and 'Musa ka Musala Peak' are really nice from the lawns of the rest house. Shogran is opened for visitors in summers and winters (although in winter only one hotel is open for stay). June – August every year is the peak season. During this period, weather remains pretty pleasant. Temperature ranges between a maximum of 20 °C (68 °F) and a minimum of 3 °C (37 °F) at night. Moonsoon winds bring heavy rains with occasional hail storm. Unexpected thunder storm and heavy rains keep environment cool and sometimes create difficulties for visitors to move around. Warm clothes are recommended for nights due to low temperature. Heavy snow keeps valley covered throughout the winter season.